“I remember vividly, my mom driving out to help kids in rural villages who did not have access to education…that stuck with me,” remembers Wendy. Wendy Lua and her husband Victor Zeng have been in the States for over ten years. They and their daughters, Alivia (age 7) and Annabelle (age 5) volunteer every month for The Honeycomb Project. Having grown up in a small town in Malaysia, Wendy remembers her mother devoting her spare time to volunteering and helping kids with education. “My mom was a teacher, but she was also a big volunteer and drove out to small towns to help other children.” Finding Honeycomb was a blessing for the Lua-Zeng family, especially Honeycomb’s focus on educating and empowering young children. “This is the stuff you can’t learn from books…you learn it from family and experience,” says Wendy. 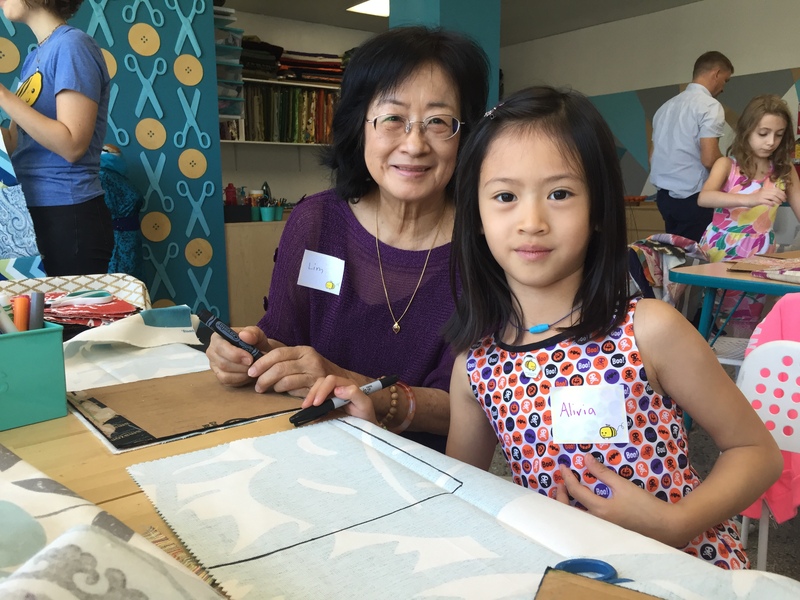 She adds “we love to send volunteer photos to Malaysia, so my mom can see what the girls are doing to help the community each month.” The Lua-Zeng family’s first Honeycomb service project at the Ravenswood Food Pantry is their favorite and most special experience. “It was so important for Alivia and Annabelle to learn that it is “more important to give than to receive,” emphasizes Wendy. Honeycomb plays such an important role in the family’s life. “Alivia is so proud of her volunteer work,” Wendy adds, “when she received her Honeycomb pin for doing her fifth project, she wore it to school every day to show her friends.” Outside of attending Honeycomb projects, the Lua family keep busy. Wendy works in marketing for Wrigley’s and her husband Victor is a financial consultant. The family loves to travel together, play board games and go camping. They are also active members of the Buddhist Temple of Chicago.